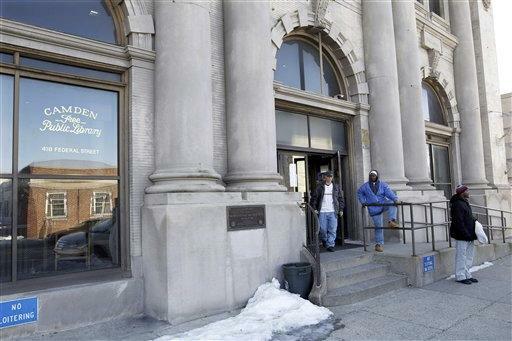 CAMDEN, N.J. (AP) - The latest blow to the downtrodden city of Camden, N.J., is the closure of its downtown branch of the public library. The main branch of the Camden Free Public Library is closing its doors Thursday. It's a victim of the same budget crisis that resulted in layoffs last month of nearly 400 city government employees, including almost half the police department and one-third of the firefighters. Last summer, it looked as if all three of the city's branches might close. That was averted when the county library system agreed to take over one of the branches.